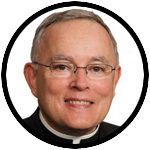 This week’s column is excerpted and adapted from Archbishop Chaput’s January 5 remarks to the “SEEK 2017” national gathering of the Fellowship of Catholic University Students. Archbishop Charles Chaput, O.F.M. Cap. How can we Christians build bridges to other people who, at first glance, might seem so different from us in their experiences and convictions? We can start by remembering two things. First, for a bridge to be built, there can’t be an obstacle on the other side. We can strive with all our power to love someone or share the truth with him or her, and still have it thrown back in our face. It happened to Jesus, so we need to be ready for it to happen to us, too. St. Paul calls Jesus Christ a skandalon (1 Cor 1:23), a stumbling block that people are forced to deal with or trip over. If we’re trying to build bridges with a stumbling block, we should expect some people to bang their shins and get angry. Second, God is the real bridge-builder. We’re the helpers. God invites us to co-operate in his work, but his work doesn’t depend on our plans or success. This should free us from fear of failure, but not from the need to strive for holiness. We need to be ready to be the instruments that God will use in the world. The official prayer of the Church for Evening Prayer on the Fourth Sunday of Advent begins thus: “Father, all-powerful God, your eternal Word took flesh on our earth when the Virgin Mary placed her life at the service of your plan.” That’s what each of us is called to do. It’s how we build bridges and avoid becoming obstacles. We place our lives, like Mary did, at the service of God’s plan. We want what God desires more than we love ourselves. We’re willing to set aside our own blueprints — even well thought-out ones — for the sake of the ones he gives us. The French have a word for the virtue we need to cultivate: disponibilité. It means openness, abandonment, availability, creating a space in which we can hear God and obey him. It’s what we see in Samuel when he hears the voice of the Lord calling in the night and says “Speak, Lord, for your servant is listening” (1 Sam 3:10). It’s what we find in Isaiah when he sees a vision of the Lord’s resplendent and terrible glory, hears the Lord say “Whom shall I send?” and replies, “Here I am. Send me!”(Is 6:8). Prayer and the sacraments are vital to cultivating this kind of receptivity to God. We need to gird ourselves with chastity and poverty to fight the culture of lust and possessiveness around us. And we need to fight against the noise that would keep us from hearing the Word of God. It’s worth recalling the words of Pope Benedict XVI when he said that we live in a dictatorship of relativism. The great African Cardinal Robert Sarah takes that a step further when he talks about how we live in a dictatorship of noise. We’re bombarded by advertising, calamity in the news, and violent music. This noise drugs us against the troubling truths of the human condition. It deafens us to the voice of God. “God is silence,” Cardinal Sarah says, “and the devil is noisy.” Catholic authors from J.R.R. Tolkien in The Silmarillion to St. Hildegard of Bingen in her Ordo Virtutum depict the devil as the father of discordance and the enemy of harmony. Those who obey God create beautiful harmonies. The devil does the opposite. Satan is not a legend or a metaphor or a pre-scientific superstition. As Pope Francis has already warned us many times, the devil is a very real and personal malignant spirit, and he uses the noise of our culture and the confusion of our desires to turn us away from God. What does this mean for us concretely? It means that we need to cut out the noise from our lives. We need to listen to less music, browse fewer internet websites and cut back on Facebook. We need to remember that God created us to rest with him, not the way people lounge on a couch, but the way an elderly married couple can sit together on a bench and share a love deeper than words. We need to have that kind of leisurely love with God. We need to cultivate that silence with him, for it’s in that silence that he reveals himself and his plan to us. Remember the prophet Elijah in his cave. The Lord said to him: “Go forth, and stand upon the mount before the Lord.” And behold, the Lord passed by, and a great and strong wind rent the mountains, and broke in pieces the rocks before the Lord, but the Lord was not in the wind; and after the wind an earthquake, but the Lord was not in the earthquake; and after the earthquake a fire, but the Lord was not in the fire; and after the fire a still small voice (1 Kings 19:11–12). Then, in that silence, Elijah went out to meet the Lord. If we’re men and women who have been intimate with God in silence, we will not be obstacles to his plan. We’ll find our pride pruned and our humility nourished. We will be polished arrows, concealed in the quiver of the Lord (cf Is 49:2). It’s our job to propose to the world anew the truth about itself: That it was loved into existence by a God who died at its hands, but who nonetheless rose again in glory to save it. Jesus meek and humble of heart ,make my heart like unto thine. I Love you Jesus. Thank you once again for your wise words. So very helpful in living with hope that we are indeed his instruments. I always appreciate and learn a lot from reading your writings. And, I thank God for you often in my prayers! You are missed greatly here in Denver. Jonathan spoke very fondly of his visit. I told him I was sorry it was so short for both of you. Que Dieu vous bénisse en profondeur!